Earlier this summer and fall, the Outer Banks Community Foundation awarded more than $150,000 in grants to over 35 local nonprofits. The grants will assist with a wide range of community efforts, from food assistance to special needs programs, public safety to animal welfare, educational efforts to athletic programs for youth. In September the Beach Food Pantry and Meals on Wheels each received grants through the Community Enrichment Program, which is the Community Foundation’s broadest grant-making program. The Pantry was awarded $5,000 for a back-up generator for emergency purposes, and Meals on Wheels (run by the Albemarle Commission) received $9,000 to deliver meals to home-bound seniors from Kill Devil Hills who would otherwise not be served. In June the Community Foundation awarded 14 additional Community Enrichment Grants. The Children and Youth Partnership received $22,325 for its new center in Manteo, and the NC Coastal Federation received $15,000 for a dock at its new center in Wanchese. An award of $5,500 to the Outer Banks Chorus will renovate the group’s trailer and risers, and an award of $2,667 to the Friends of Jockey’s Ridge will purchase three benches at the Visitors Center of this popular park. The Dare Education Foundation and the NC Lions VIP Fishing Tournament each received capacity-building grants in June for new computers, software, and/or board development, and Food for Thought received $5,000 for personal hygiene “pantries” in Dare County’s secondary schools. Saltwater Connections received a grant of $5,000 to preserve historic interviews of Hatteras and Ocracoke islanders. The Outer Banks Tennis Association received $3,050 for camp scholarships and tennis clinics on Hatteras, and Feline Hope received $12,000 for low-cost spay, neuter, and vaccination clinics. The Community Foundation also awarded its 2016 Pauline Wright grants this summer, which assist people with disabilities from Dare and Currituck. The Southern Shores Volunteer Fire Department received $2,396 to purchase beach wheelchairs, the Town of Nags Head received $5,000 for accessible playground equipment at Dowdy Park, and Mane and Taill received $10,100 for program scholarships for children and adults with special needs. The Dowdy Park grant was also assisted by the David Aycock Loy Memorial Fund. In addition, this summer and fall the Community Foundation also awarded over $22,000 in grants from six donor-advised funds, which are funds managed on behalf of businesses and families who recommend the grants that are awarded. Grant recipients included the Hatteras Island Rescue Squad, Interfaith Community Outreach, Outer Banks SPCA, Ruthie’s Kitchen, the Kitty Hawk and Kill Devil Hills Fire Departments, the Community Care Clinic of Dare, Outer Banks Relief Foundation, Hatteras Village Medical Center, GEM Adult Day Services, Special Olympics, the Outer Banks Repeater Association, OBX Pride, the Outer Banks Wrestling Club, Food Bank of the Albemarle, Holy Redeemer by the Sea, St. Andrews by the Sea, the Town of Southern Shores, and the Dare County Association of Fire Officers. The Community Foundation is still accepting applications for its last Community Enrichment Grants cycle of the year. The last application deadline in 2016 will be Friday, October 28. Eligible projects must directly benefit all or a portion of the Community Foundation’s service area, which includes all of Dare County, and all Outer Banks communities, from Corolla to Ocracoke Island. Community Enrichment Grants support all charitable categories, including arts and culture, animal welfare, children/youth, disaster relief and prevention, education, the environment, health, historic interpretation and preservation, and other human services. The Community Foundation also has dedicated funds to award this cycle for environmental projects in Ocracoke, as well as health and wellness programs anywhere in the Outer Banks. For more information, and to submit an application online, visit the Community Foundation’s grants pages at www.obcf.org/grants. Anyone can contribute to any of the Community Foundation’s grant-making funds. All undesignated gifts are added to the Community Fund, which is the Community Foundation’s largest grant-making endowment. Donations may be made securely online at www.obcf.org/donate. Photograph by Biff Jennings, Shooters at the Beach. The Community Foundation is Hiring! Strategic Planning for Nonprofits: Join Us for This Seminar! 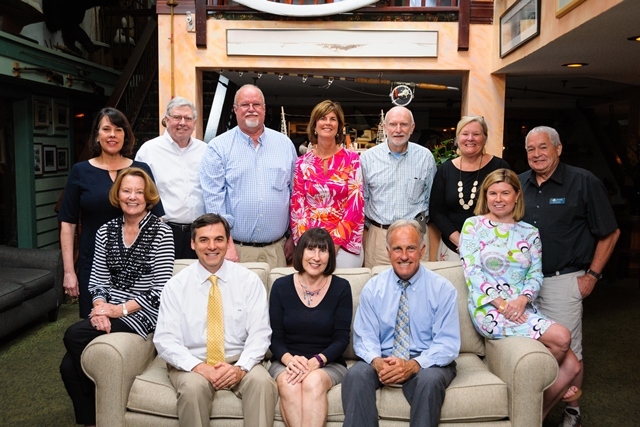 The Outer Banks Community Foundation helps meet local needs across Dare County and the entire Outer Banks. We manage charitable funds for individuals and agencies, and we target grants and scholarships toward our community’s most pressing needs and promising opportunities.